Great word, John. That last paragraph is so strong. I love push back on that quote attributed to St. Francis. It can and must be communicated through all of our human faculties and all of our gifts and strengths, otherwise the ‘integrity’ of our Christian formation ‘in Christ’ is lacking and our verbal preaching is subject to the ridicule of those who notice that we may ‘talk the talk’, but our heart isn’t into ‘walking the walk’. 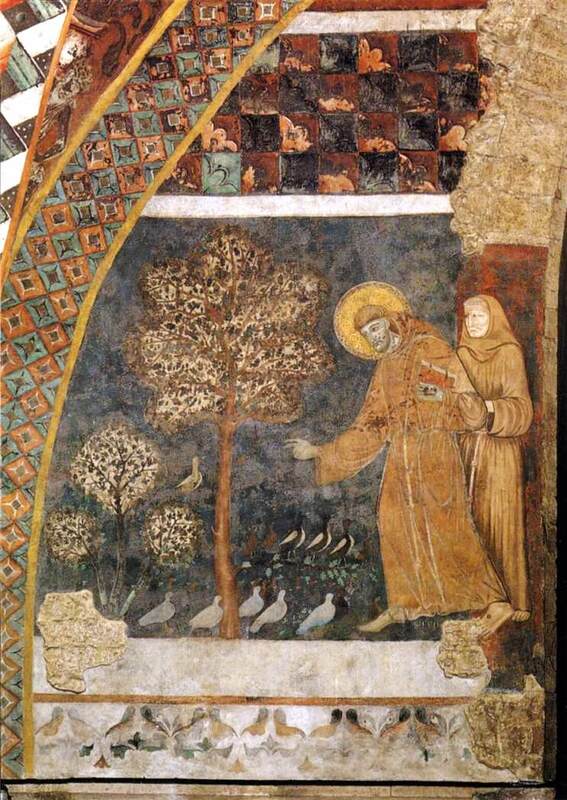 St. Francis, once ‘converted’, was able to communicate with other creatures of God through his compassion for them. He is remembered for his humility before the Lord. Some lives radiate Christ to others. When that happens, converts are made by the thousands. I can understand a philosophy of mission that elevates proclamation. But we shouldn’t we take care to avoid obscuring the importance of listening and acting — both of which Christ did. Thanks for the stretch! I think I see where Christiane is coming from, as well as John. I suppose my answer would be that when preaching the ‘Gospel’ it is ALWAYS necessary to use words, however it can’t stop at our words. I think that is an important distinction to make. If we are simply being missional, or intentional, whatever the catch word of the day is…yet not verbally communicating why we are doing this and the reasonings behind it, you aren’t fully proclaiming the Gospel. In the same way, if you merely talk about it but don’t do it and live it, you are making the same mistake…maybe even a greater one. John, thanks for this blog. – I’ve also been wanting to see ‘The King’s Speech’ and now I feel like I should. Thanks for this review. I keep hearing about this movie. I’ll have to check it out. Excellent post. They say that public speaking is everyone’s #1 greatest fear. People are frightened of public speaking. As inadequate vessels as we are, praise God, that He is sovereign and can use the worst of us. Moses did not think he had very polished speaking or homiletical skills (Ex. 4:10), yet we all know how God used him. Several years ago, I was blessed to hear numerous mentally handicapped people share their testimonies at our church. They had Down Syndrome. Yet, they were able to share their faith in a way that was easily understood. One guy even told the congregation that if anyone wanted to talk to him more about Jesus, he was available after service to talk. After I heard them share their faith, I wept for the rest of the service. I had never witnessed people so severely handicapped who were not only able to comprehend the gospel but also able to share it. If people like that can share their faith, what does that say of us? Simply put, we have no excuse for not being able to share the verbal message of the gospel. perfect. I am generating out a copy to present my personal buddies.